The Cork-based Musgrave group has set out a vision for convenience retail in 2025. 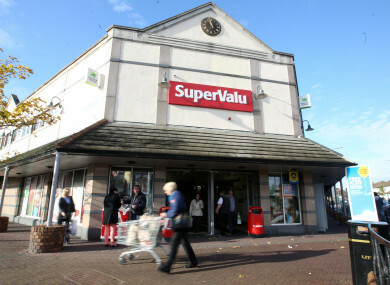 SUPERVALU OWNER MUSGRAVE is preparing for a future where bricks-and-mortar shopping delivers ‘experiences’ and veganism hits the big time. In a colourful statement accompanying the group’s 2017 annual report, Musgrave chief executive Chris Martin has predicted there will be a “dramatic shift” in the landscape of Irish food retail by 2025. “Consumers will seek out unique food experiences where eating less will be considered good for me, my health and the health of the planet,” he said. According to Martin, Musgrave – which also owns the Centra, Mace in Northern Ireland, DayToday and Daybreak brands – is different to many other retailers because it sees “the growing digitisation of the retail experience as a thrilling opportunity rather than a threat”. “In this new world (Ireland in 2025), rather than seeing the demise of the store, bricks and mortar will in fact be re-imagined as a destination, a social hub – the place where people will go not just to buy product but also for great food and dining experiences,” Martin said. Martin believes the consumers of tomorrow will expect a high standard of expertise from store assistants coupled with “tailored offers and recipes”. They might even want to “visit the gym while their weekly shop is being prepared for them to collect in-store or delivered to their home”. With that in mind, Musgrave is investing in ‘digitising’ its stores and renovating them to “deliver a shopping experience the modern consumer demands – convenient, simple, friendly and enjoyable”. “By 2025 we see technology as fundamentally changing the relationship with the consumer,” Martin said. Martin’s comments were included in analysis accompanying Musgrave’s 2017 financial results. In addition to its convenience and supermarket retail brands, the group operates wholesaler MarketPlace and fish-and-chip shop chain Chipmongers, which has 10 locations on the island of Ireland. Musgrave also operates more than 80 Dialprix supermarkets in Spain. In total, it runs more than 1,400 outlets across all six of its retail brands. According to its 2017 annual report, Musgrave recorded sales of more than €3.7 billion last year, down by about €18 million on 2016′s tally. The group’s operating profit for the year also declined, from just over €95 million in 2016 to €87.7 million. By the end of last year, the retail group was sitting on an accumulated profit of more than €270 million. Last year, Musgrave agreed to buy Dublin-based fine foods supplier La Rousse Foods from Swiss-Irish baked goods company Aryzta, which makes Cuisine de France products. La Rousse Foods will continue to operate as a standalone brand for time being, Musgrave said in the report. It said the acquisition will complement the group’s existing wholesale market, “particularly within the high-end restaurant market”. Email “SuperValu's owner is planning for a future rife with veganism and in-store 'experiences'”. Feedback on “SuperValu's owner is planning for a future rife with veganism and in-store 'experiences'”.